THE ULTIMATE WORKOUT! 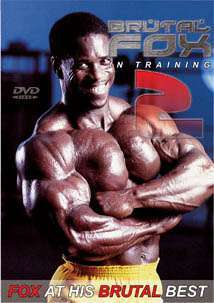 The only DVD on the market that shows training FOX style as it really is! THE ULTIMATE WORKOUT! The only DVD on the market that shows training FOX style as it really is! The ultimate workout routine – from one of the world’s most massively built body builders. See the complete workout of Bertil ‘Brutal’ Fox as he blasts it to the limit, including dumbell presses, repping with 180 pound dumbells! Shot entirely on location at Gold’s Gym, Northridge, California & World’s Gym, Venice Beach, California, this is a DVD not to be missed! Includes a revealing interview with Bertil and much more. On Sept. 27, 2002, Bertil’s death sentence was changed to life in prison for the murder of his ex-girlfriend and her mother. 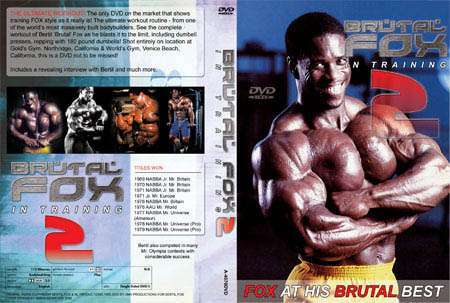 This DVD is a tribute to the wonderful career of Brutal BERTIL FOX. Click here to read a review on this DVD.